Description Provided rest and respite resources to a women human rights defender in Egypt who faced post-traumatic stress disorder. Description To increase protection for Latin American human rights defenders. 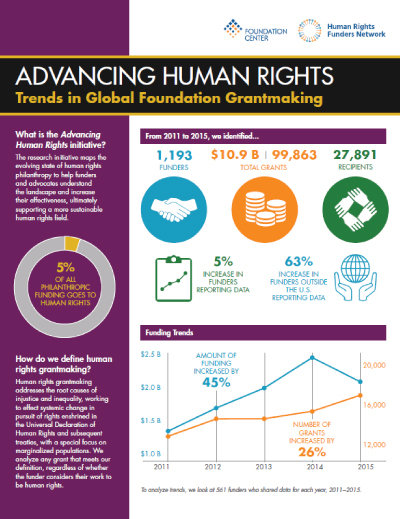 Grants in this category include those that explicitly reference human rights defenders in the grant description, as well as grants from funders that identified all of their funding as supporting this population.